Chapter 12: The critical need for faculty mentoring: Say brother, can you spare the time? 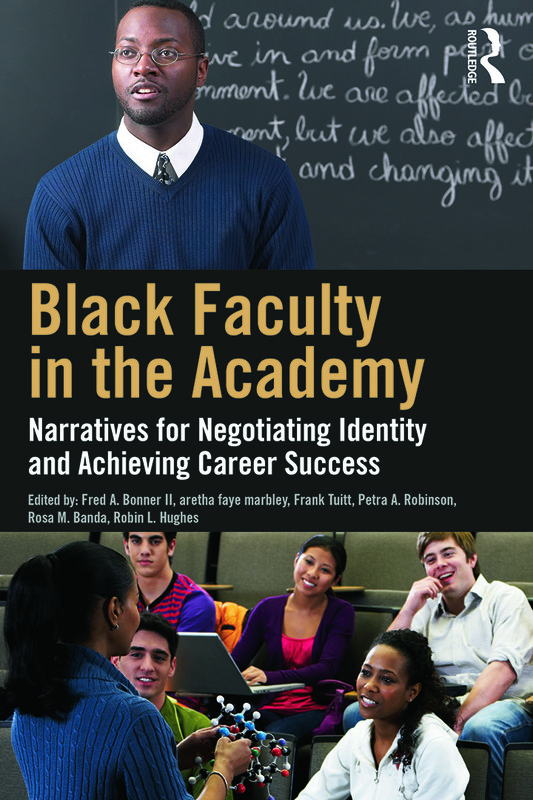 Fred A. Bonner, II is Professor and the Samuel DeWitt Proctor Chair in the Graduate School of Education at Rutgers, The State University of New Jersey, USA. aretha faye marbley is Professor and Director of Community Counseling in Counselor Education at Texas Tech University, USA. Frank Tuitt is Associate Professor of Higher Education and Associate Provost for Inclusive Excellence at the University of Denver, USA. Petra A. Robinson is Assistant Professor in the School of Human Resource Education and Workforce Development at Louisiana State University, USA. Rosa M. Banda is Research Associate to the Samuel DeWitt Proctor Chair in Education in the Graduate School of Education at Rutgers, The State University of New Jersey, USA. Robin L. Hughes is Associate Professor in the Department of Educational Leadership and Policy Studies, Higher Education Student Affairs (HESA) at Indiana University Indianapolis, USA.